During the month of June, Sustainival, the World’s First Green Midway, will return to Edmonton and Fort McMurray. Dates and locations listed below. Sustainival is free to attend and has no gate admission. You can check out all the entertainment, educational exhibits, the Green Beast Eco Challenge, and so much more, free of charge. Fees will apply for carnival rides, carnival games, food, and beverages. The community beloved “Green Beast Eco Challenge”, an amazing race style competition, will return as part of the daily programming at Sustainival. The Green Beast Eco Challenge transforms the entire Sustainival midway into a giant live-action board game that challenges participants to solve an environmental puzzle by scouring the midway for sustainability themed clues for the chance to win awesome prizes. The challenge will run everyday at all our Sustainival events and is free for all. Sustainival is generously sponsored by Suncor, Herc Rentals, The City of Edmonton, BURNCO and many others. A heartfelt thanks to our sponsors for making Sustainival possible. 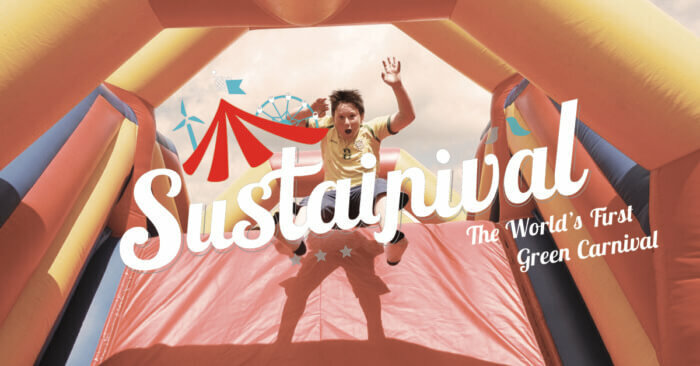 ABOUT SUSTAINIVAL : Sustainival is the world’s first green carnival. We are an educational non-profit organization with a focus on energy literacy, sustainability, and clean-technologies. Our learning outcomes are delivered through our large-scale public events by means of spectacular games, competitions, pavilions, exhibits, demonstrations, performances, interpreters, and presentations. Since 2011, more than one and a half million festival-goers have experienced the exhilaration of Sustainival, while gaining a hands-on awareness of the potential of clean technologies and renewable energy. For more information, visit us at www.sustainival.com.